Handley Carr Glyn Moule, Bishop of Durham: A Biography. Christian Self-denial: A Poem Which Obtained the Seatonian Prize, MDCCCLXIX. Cambridge: Deighton, Bell; London: Bell and Daldy, 1869. Poems on Subjects Selected from the Acts of the Apostles, with Other Miscellaneous Pieces. Cambridge: Deighton, Bell, and Co.; London: Bell and Daldy, 1869. The Beloved Disciple: A Poem Which Obtained the Seatonian Prize, MDCCCLXX. Cambridge: Deighton, Bell; London: Bell and Daldy, 1870. Tyre: A Poem Which Pbtained the Seatonian Prize, 1871. Cambridge: Deighton, Bell; London: Bell and Daldy, 1871. The Fact of the Resurrection: A Sermon, Preached (in Substance) on the Evening of Easter Sunday, MDCCCLXXI. The Gospel in Polynesia: A Poem Which Obtained the Seatonian Prize, MDCCCLXXII. Cambridge: Deighton, Bell; London: Bell and Daldy, 1872. The Brazen Serpent: A Poem Which Obtained the Seatonian Prize, MDCCCLXXIII. Cambridge: Deighton, Bell; London: G. Bell, 1873. The Victory That Overcometh the World: A Poem Which Obtained the Seatonian Prize, MDCCCLXXVI. Cambridge: Deighton, Bell; London: G. Bell, 1876. Doctrine, Manner of Life, Purpose: Sermons Preached in the Parish Church of Fordington, Dorset, February 8, 1880, on Occasion of the Death of the Rev. Henry Moule. Christianus: A Story of Antioch, and Other Poems. Cambridge: Deighton, Bell and Co., 1883. Justifying Righteousness: A Consideration of Some Questions Concerning the Acceptance of the Believer before God with an Appendix of Extracts from Fathers and older Anglican Writers. Thoughts on Union with Christ. New York: J. Pott, 1886. Thoughts on the Spiritual Life. London: Hodder and Stoughton, 1889. The Christian and the World: A Paper Read at the Cardiff Church Congress. The Net and the Deliverance. Life in Christ and for Christ. Veni Creator: Thoughts on the Person and Work of the Holy Spirit of Promise. The Oak of Ephrah; or, Strength in the Look of the Lord. Christ is All: Sermons from New Testament Texts on Various Aspects of the Glory and Work of Christ, with Some Other Sermons. New York: E.P. Dutton, 1892. Prayers for the Home: A Month's Cycle of Morning and Evening Family Worship with Some Occasional Prayers. To My Younger Brethren: Chapters on Pastoral Life and Work. Jesus and the Resurrection: Expository Studies. The Pledges of His Love: Thoughts on the Holy Communion, Devotional and Explanatory. Grace and Godliness. Studies in the Epistle to the Ephesians. Prayers and Promises: Messages from the Holy Scriptures. In the House of the Pilgrimage: Hymns and Sacred Songs. Philippian Studies: Lessons in Faith and Love from St, Paul's Epistle to the Philippians. Colossian Studies: Lessons in Faith and Holiness from St. Paul's Epistles to the Colossians and Philemon. Our Prayer Book: Short Chapters on the History and Contents of the Book of Common Prayer. Thy Keeper: Words Spoken from Simeon's Pulpit on Psalm CXXI. All in Christ: Devotional Thoughts from the Writings of H.C.G. Moule. The Evangelical School in the Church of England: Its Men and Its Work in the Nineteenth Century. London: John F. Shaw, 1903. Temptation and Escape: Short Chapters for Beginners in the Christian Life. A Charge Delivered at His Primary Quadrennial Visitation. From Sunday to Sunday: Short Bible Readings for the Sundays of the Year. New York: A.C. Armstrong, 1904. The Bishop of Durham on the Opium Question: An Address, Delivered at a Meeting Held under the Auspices of the Society of Friends, in Exeter Hall, London, on Friday, 9th December, 1904. London: Morgan and Scott, 1905. Imitations and Translations, English, Latin, and Greek, Mostly of Long Ago. My Brethren and Companions, and Other Sermons. The Sacred Seasons: Readings for the Sunday and Holy Days of the Christian Year. The School of Suffering: A Brief Memorial of Mary E. E. Moule. English Church Teaching on Faith, Life, and Order. Christus Consolator: Words for Hearts in Trouble. The Hope of the Near Approach of the Lord's Return and Its Influence upon Life: An Address under the Auspices of the Advent Preparation Movement at Cannon Street Hotel, Jan. 29, 1919. London: Charles J. Thynne, 1919. 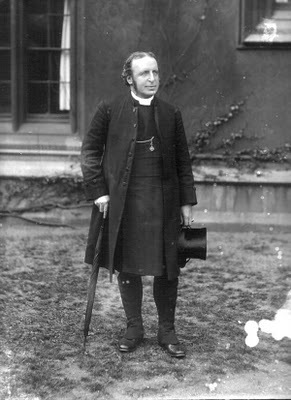 The Lord's Brother: A Sermon Preached before the University of Cambridge, February 23, 1919. The Nation's Greatest Need: A Plea for the Reinstatement of the Bible in Its True and Proper Place as the Book of God to Man, Being an Address Delivered at the Church House, Westminster, by the Lord Bishop of Durham, D.D., under the Auspices of the Bible Crusade, Inaugurating the Effort to Make A.D. 1920, "Bible Year".